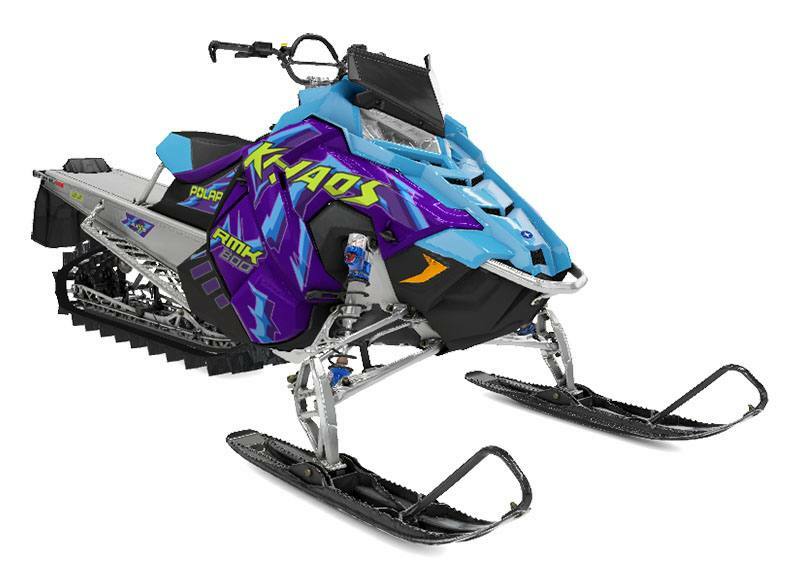 2020 Polaris 800 RMK Khaos 155 SC 3 in. AXYS® CHASSIS: The raised AXYS® chassis increases clearance and reduces drag to keep you on top of the snow. It is purpose-built for mountain riding and allows for faster and easier climbing and instantaneous lift to pop onto the snow faster. The aluminum over structure is lightweight and durable for all types of riding. KHAOS® REAR SUSPENSION GEOMETRY: The rear suspension geometry provides transfer and traction for light handling and control and the best response in all riding zones. POWDERTRAC® RUNNING BOARDS - 800 MODELS: The PowderTrac® Running Boards have been developed for maximum snow clean out and maximum strength. Built from extruded aluminum with bonded cast lugs, they boast an open area of over 50% and integrated traction that is machined in for sure footed performance. There is now additional open space at the back of the boards by the rear pad to reduce snow build up. 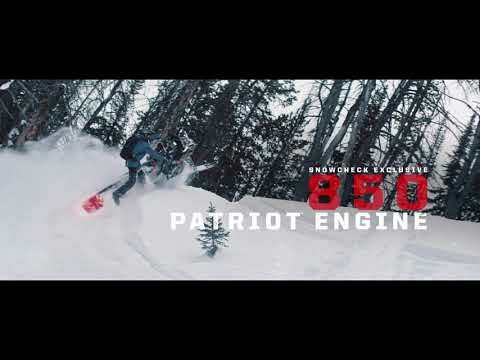 POWDERTRAC® XT RUNNING BOARDS - 850 MODELS: The lightweight PowderTrac® XT Running Boards were developed for extreme riders with geometry for improved sidehilling and deep snow capabilities. The improved ergonomics maintain usable space for the rider and traction at the rear of the boards. WALKER EVANS® VELOCITY SHOCKS: The RMK® KHAOS® 155 comes with premium Walker Evans® Velocity Shocks for the best of the best in various mountain conditions. These have been proven in hillclimb dominance. ALUMINUM OVER STRUCTURE AND REAR BUMPER: Designed for enhanced durability. PRO-RMK® REACT SUSPENSION™: The PRO-RMK® React Suspension™ provides riders with the most effortless ride in the deep snow. Experience less fatigue with the most predictable ride. It includes a 36"-38" stance, a sway bar designed for predictable handling, and forged a-arms and spindles optimized for strength and durability. Front Track - Walker Evans Comp. Adj Velocity 2 in.